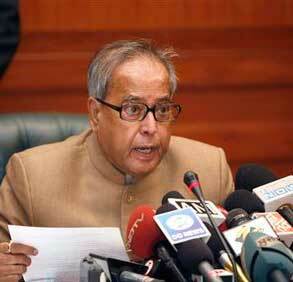 Finance minister Pranab Mukherjee will present the General Budget for 2009-10 in the Lok Sabha on 6th July. The common man has a lot to expect from the government in terms of sops and tax cuts. Ganesha too anticipates that this year's Budget will boost the floundering economy by fixing infrastructure, generating rural employment and providing incentives to recession-hit sectors. Ganesha also expects the government to take several measures to propel the economy on to the development track. Taurus is the ascendant in India's natal horoscope and Sun is posited in the 3rd House of Cancer. On the day of the Budget, the gochar transit of Sun is through Gemini under the auspices of Punarvasu nakshatra. Consequently, the government will take a tough stance on petrol prices and other related products. Ganesha also says electricity may become dearer. Products utilising atomic energy may become costlier. Electric and electronic wares like refrigerator, TV, etc., are likely to become more expensive. Along with liquor, LPG prices too may rise. India's natal Moon is posited in Cancer. On the day of the General Budget, transiting Moon will pass through Mula nakshatra (Ketu's star) in Sagittarius, and this indicates that items like cotton, wheat, turmeric, cables, machinery, chemicals, colours and sugar may see some favourable changes. Natal Mars is posited in the 2nd House of Gemini and gochar Mars is passing through Kritika Nakshatra in Taurus. This suggests major changes in the railway budget and also in prices of products like ghee, honey, computers, radios and jewellery. Mercury will transit through Ardra nakshatra in Gemini on Budget day. As a result, finance minister Pranab Mukherjee may formulate policies to boost export-import, foreign trade, national growth and rural advancement. Supreme Court may be bestowed with more powers. Some relief in the Insurance sector is also expected. Higher education will become more affordable, thereby burdening the exchequer's pocket. The gochar transit of retrograde Jupiter, Lord of the 8th and 11th House, through Dhanishta nakshatra in the 10th House, in combination with Saturn and Jupiter conjunct in Navamsha, indicate that Jupiter will lose a lot of power. Hence, stock exchanges, government loans, bonds and government securities may not receive expected benefits. Gold, diamond jewellery, sandalwood and perfumes may become costlier. Venus, Lord of the ascendant and the 6th House, is passing through its own sign Taurus, indicating that changes in prices of products like buttermilk, betel nuts, medicinal syrups and liquor will be made keeping in mind the situation. The Budget will also focus on the health sector, armed forces, civil services, medical services and labour. Despite criticism from the Opposition, Prime Minister Manmohan Singh and finance minister Pranab Mukherjee will do their utmost to present a progressive budget for the country, but will fail to garner appreciation for the same. The conjunction of Sun and Mercury in the gochar of the 2nd House on the day of the Budget indicates that the finance minister may try and reconsider tax accumulation, revenue deficit, fixed deposit, flow of FDIs, and GDP growth rate. He will try to play safe and will make efforts to maintain the growth rate. Currently, India is under the influence of Mars major period, Venus sub period and Saturn sub-sub period, and on the day of the Budget, Ketu's influence will be felt most heavily. Hence, changes are expected in sectors like textiles, chemicals and entertainment. There may be changes in excise duty and in the IT sector. More taxes will be levied on basic amenities like electricity, roads and cement. Nevertheless, development is expected to continue unhindered. Sun, being Lord of the 4th House, is passing through the 2nd House. If the IT sector is ignored this time, this lucrative sector may collapse. Software development, repairing and maintenance may get some relief. Mercury and Venus are posited in their own Houses. Moreover, Ketu, transiting through natal Mercury and Venus, indicates that the automobile sector may not receive any direct benefits, but Ganesha foresees positive reforms from the finance minister. Sun's position in Punarvasu nakshatra and Mercury's position in Ardra creates a conjunction of Jupiter and Rahu through nakshatras. This indicates that pharmaceutical companies using yellow coloured ingredients to produce medicines that help reduce toxicity may benefit. The Budget will maintain status quo in the pharmaceutical sector. FM will try to ensure that Indian pharmaceutical sector retains its competitive edge in the international arena. This sector is likely to benefit. The strengths of the concerned planets indicate that policies determining the quality of material, gradation and consumer protection are likely to be formulated. Mercury, the planet ruling the banking sector, has become very strong, and this connotes advantage for this sector. However, Mercury posited in the Ardra nakshatra is unrewarding and suggests a possibility of turmoil in this sector. The banking sector will benefit from regulations. Moreover, decisive steps to merge all government and semi-government banks are also expected. The idea of Mega Banking Corporation will also get a boost. Banks will be able to borrow funds at lower rates from international banks and depositories. The gochar transit of Ketu over natal Moon, and the transit of Sun and Mercury over natal Mars will prove beneficial for this segment. On the other hand, the gochar of Mars is transiting over natal Rahu. In combination with these two factors, we cannot be sure what results Mars will give. It is advisable to wait and watch. National highways, railways and airport authorities may receive more favour. Privatisation and modernisation are expected for metros and tier II cities, while decisive steps are expected for leading ports. Saturn, Lord of fortune and work-related areas, will be transiting through the inimical 4th House in India's birth chart. This will happen in the Purva Phalguni nakshatra (Asterism ruled by Venus) and will be aspected by retrograde Jupiter. Hence, reduction in custom duty is expected. However, infrastructure allocation, agricultural allocation, prices of petrol and diesel may be affected. The conjunction of Venus and Mars will benefit this sector. Broadcasting companies may not get benefits as per the structure of the income tax. The finance minister may formulate favourable policies for new television channels. Mercury, Lord of the 2nd and 5th House, is posited in its own House, and the gochar transit on the day of the Budget will be through the 2nd House under the auspices of the Ardra nakshatra. This indicates a lot of unexpected changes in this sector. Custom duty may be increased on cellphones and its components. However, the tax cut will be nominal. The gochar transit of Ketu over Sun, Mercury, Venus, Saturn and Moon in India's horoscope, along with the gochar transit of Rahu over the 2nd House, indicates that there may be a slight increase in prices of agricultural products. Pesticides may be a major point of debate in the Parliament. A strong transit of Mars will make infrastructure and building projects costly. But, as it is passing through the lagna in India's chart when transiting Sun, and Mercury is passing over natal Mars in combination with the major period of Mars with the sub-period and the sub-sub periods of Venus and Mars, it indicates that the effect of Mars will bring minimal overall change in expenditure. All in all, the growth story of India Inc will continue unabated! Ganesha is very optimistic that the Indian economy will begin to gain traction. Global economy too, is expected to stabilise. Scrips that will remain in news: HDFC, Kotak Mahindra, LIC Housing Finance, CanFin Homes Ltd, Century Textiles and Industries Ltd.
Ganesha advises investors to trade cautiously.